Page Speed Insights measures the performance of a page for mobile devices and desktop devices. It fetches the URL (http or https) twice, once with a mobile user-agent, and once with a desktop user-agent. The Page Speed Optimization score ranges from 0 to 100 points. A higher score is better and a score of 85 or above indicates that the page is performing well. The Page Speed score is based in Chrome User Experience report data which uses aggregate real user measurements to calculate how fast a webpage loads. Please note that PageSpeed Insights is being continually improved and so the score will change as Google adds new rules or improves their analysis. With Google Global Market Finder, you can find opportunities to reach over 2.9 billion customers around the globe. Automatically translate keywords into your customers’ language. See where customers are searching for your product, from anywhere in the world. Make the most out of your ad budget by comparing cost estimates across languages and locations. The Google Trends tool uses real-time search data to help you gauge consumer search behaviours over time. A tool that provides keyword ideas and traffic estimates to help you find the most demanded keywords in your industry. SimilarWeb provides Web Analytics services to help you collect, measure and analyse user engagement with websites or mobile apps. An online SEM tool which helps you with keyword research, business intelligence and online competitor analysis. SEMrush provides metrics that help you better understand your competition and industry in general. A free Firefox Rank Checker extension which allows you to easily monitor websites’ rankings in Google (international) and Bing search engines. Input the keywords you want to check rankings for and then the website URL, and the tool will show you the rankings of each keyword. Google Analytics is the most commonly used Web Analytics service offered by Google which tracks and reports website traffic. It provides detailed data about user engagement and traffic reports for websites or mobile apps. Google Search Console is a free web service provided by Google for webmasters. It helps you monitor your website’s presence in Google’s search engine. Specifically, it allows you to check indexing status, optimize visibility of your websites and identify crawling errors. One of the best link intelligence tools, Majestic helps you to monitor websites’ link history. Majestic provides detailed information and helps you understand how websites are linking to each other. Open Site Explorer is a link analysis tool provided by Moz that closely mimics what Google or Bing’s linkscape looks like. You can use it to explore all web pages indexed by search engines and get a huge amount of information about your (or your competitor’s) website. Keyword Tool is a free online keyword research instrument that uses Google Autocomplete to generate hundreds of relevant long-tail keywords. Ubersuggest is a free online keyword suggestion tool. With this tool you can easily get thousands of keyword ideas from real user queries in order to optimize your website. SpyFu exposes the search marketing secret formula of your most successful competitors. Search for any domain and see every place they’ve shown up on Google: every keyword they’ve bought on Adwords, every organic rank, and every ad variation in the last 6 years. Great for research! A program you can easily install locally on your computer which crawls websites’ links, images, CSS, scripts and aps from an SEO perspective. It allows you to crawl, analyse and audit a site from an onsite SEO point of view. Some of the data which Screaming Frog SEO Spider offers are error pages, redirects, external links, duplicate pages, page titles and descriptions and anchor text. Copyscape helps you defend your site against the threats of online plagiarism. The free Copyscape service provides online copyright protection by allowing you to easily search for plagiarism and identify instances of content theft or duplicate content. A tool that helps you track the level of “not provided” keywords. Not Provided Count uses live Google Analytics data from 60 different websites to track the growth of the “not provided” keywords and the drop of real keyword data. Google My Business allows you to create your business listing in order for you to appear in Google Search, Maps or Google + when someone searches for your company. Specifically, by adding your company into Google My Business, customers can find important information about you such as your business address, directions, working hours, telephone number where they can click to call and so on. 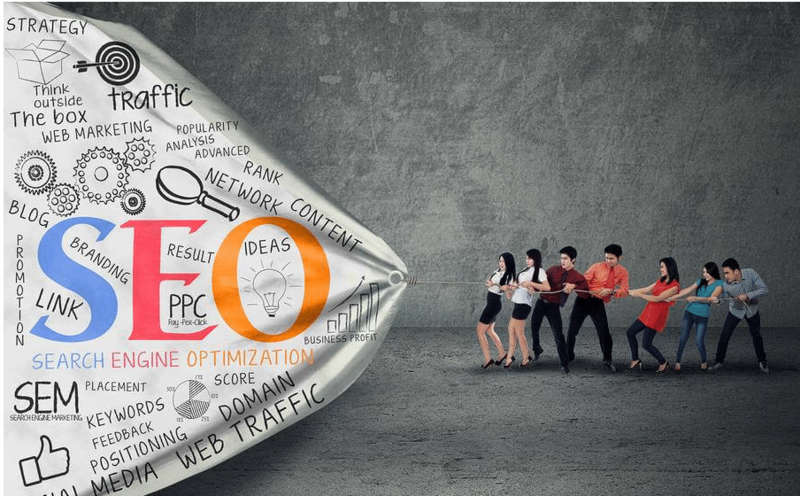 sh404sef helps you improve your search engine rankings and get more traffic to your website. sh404SEF® is the most popular and longest developed Joomla SEO extension and it rewrites Joomla URLs to user and SEO-friendly format and provides a user friendly template for updating page titles & meta descriptions. Yoast offers a free SEO plugin for WordPress which can help you easily manage your website’s SEO efforts. It helps you during the on-page optimisation process by helping you to focus on a target keyphrase and providing a user friendly template for creating your page titles, meta descriptions and content. Promote your content with structured data markup. “Structured data markup” is a standard way to annotate your content so machines can understand it. When your web pages include structured data markup, Google (and other search engines) can use that data to index your content better, present it more prominently in search results, and surface it in new experiences like voice answers, maps, and Google Now. RDFa is an extension in HTML5 that helps you markup things like People, Places, Events, Recipes and Reviews. Search Engines and Web Services use this markup to generate better search listings and give you better visibility on the Web, so that people can find your website more easily. Google’s Pagespeed Insights is a great option, however, over the years other tools have become our top choice too. The following tools utilize features that Google’s Pagespeed Insight does not, like testing from different locations and using higher/lower speed connections.